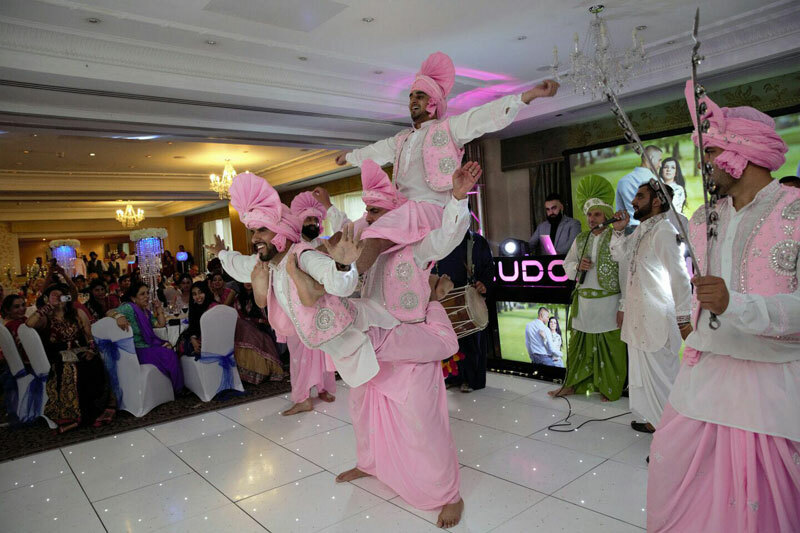 Looking for Bhangra Dancers for a performance at your wedding or special event? 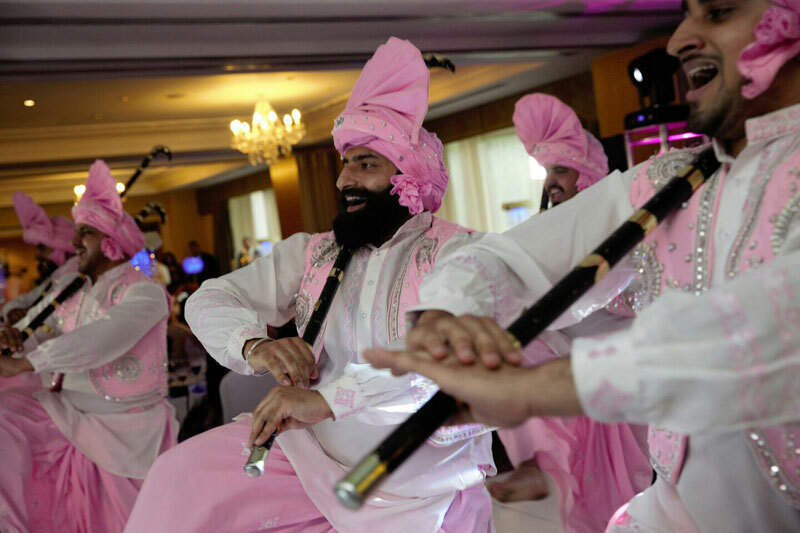 This professional group of traditional folk Bhangra dancers offer a fusion of Bhangra with dhol drummers and singers to lighten up your wedding, festival, corporate event or party. 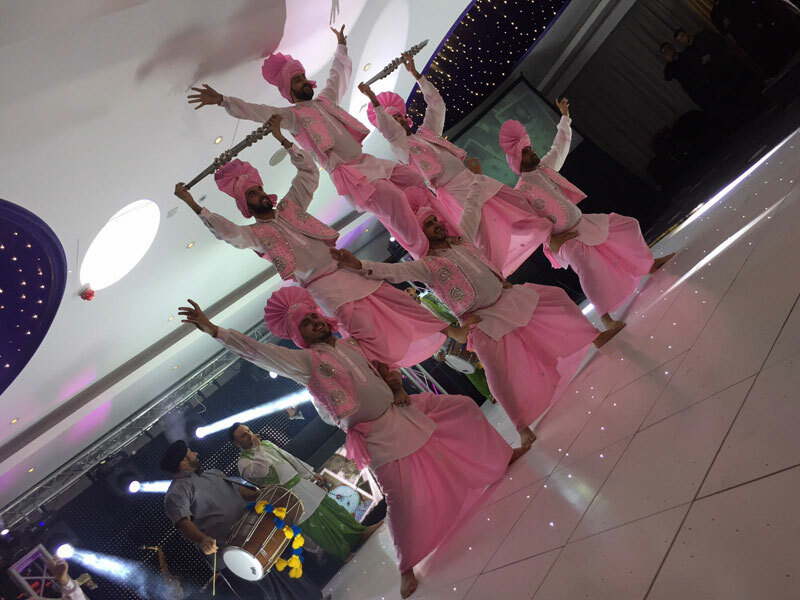 This Bhangra dance troupe performs a high energy dance show, with acrobatics, props and live performances to the Dhol Drummer and Singer. 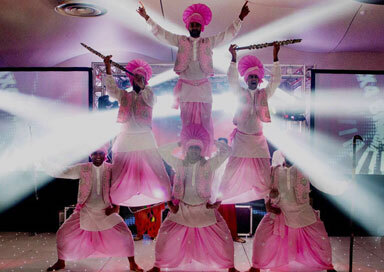 The Dance form originates from the North of India with very colourful and vibrant outfits. 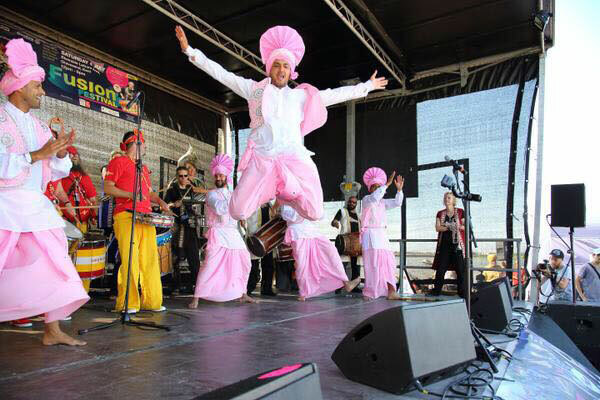 Performed Nationally and Internationally accompanying mainstream artists like Led Zeppelin, Omarian, Diversity and choreographed Kasabian’s dance video and performed with a list as long as your arm of Bhangra artists around the world. The group has performed numerous time on National TV. 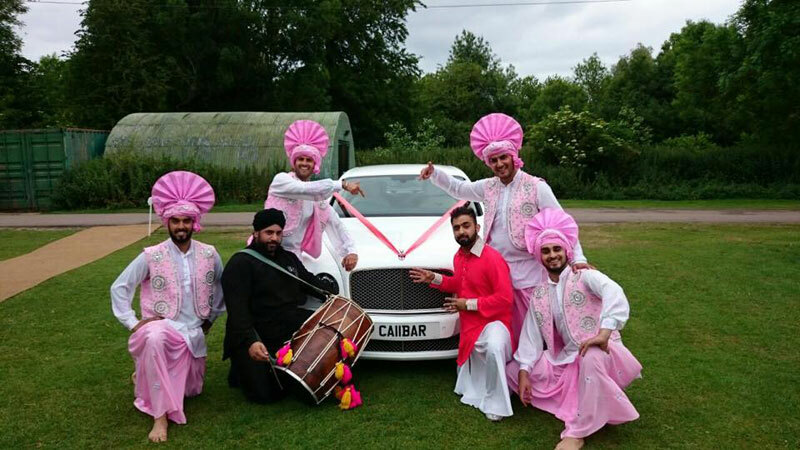 They are one of the most established Bhangra dance groups in Europe and have performed in North America, Middle East, Europe and across the UK. They also have an excellent youth outreach programme. 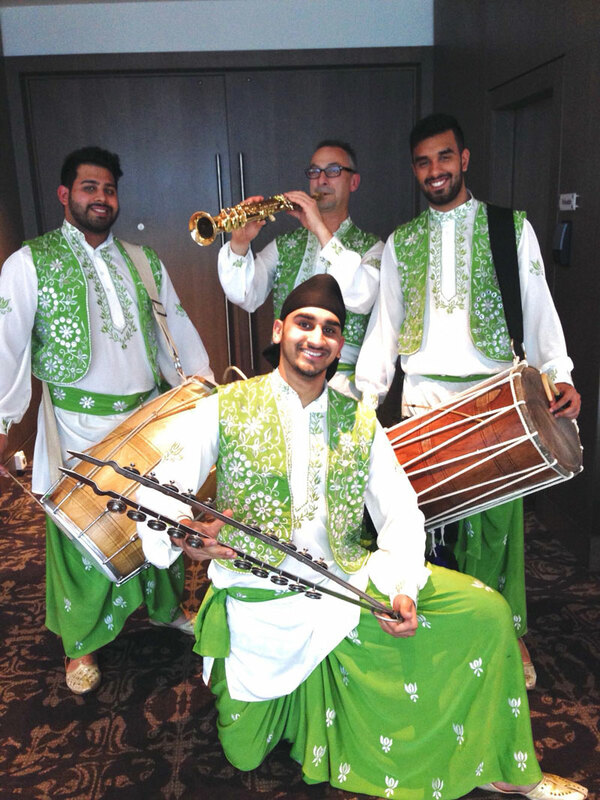 The Bhangra Group was established in 1994 with the aim of promoting Bhangra (folk dance from the Punjab in Northern India) and to work with young people through the arts around Kent. Since its inception the group has gone from strength to strength performing at community events and festivals around the UK and Europe, and working with thousands of young people either through workshops or through regular sessions through their successful Youth Club. 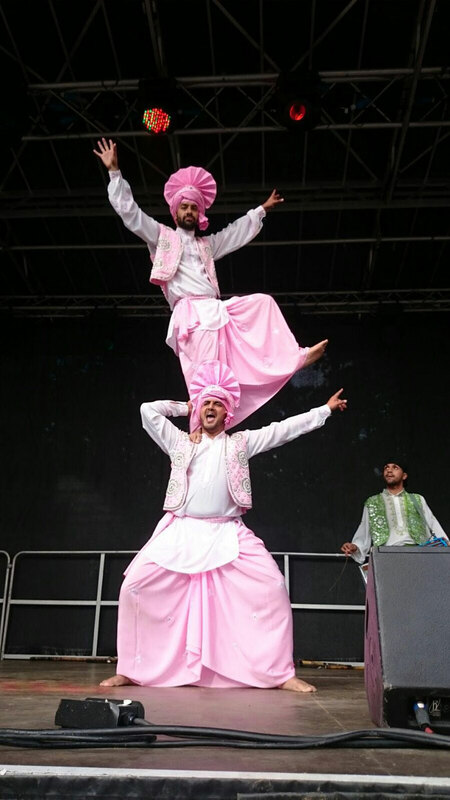 The group has lots of experience performing at corporate events having performed at various stages for many of the top Blue Chip Companies based in the UK as well as helping to organise and facilitate team away day sessions around team building and teaching people new skills.